Four Seasons Garden Center did a wonderful job on both my front yard and my back. I had known of the organization for some time having grown up near the Berkley area. My designer, Bethany, really outdid herself this past year when she developed plans for my back yard. I have two dogs, one of which is very large and was plagued with standing water and mud every time it rained. Bethany and I discussed how we could "dog scape" the back and she came up with some tremendous plans. 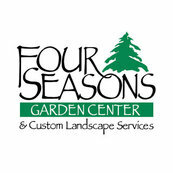 I have thrilled with the jobs they have done and would highly recommend Bethany and Four Seasons!